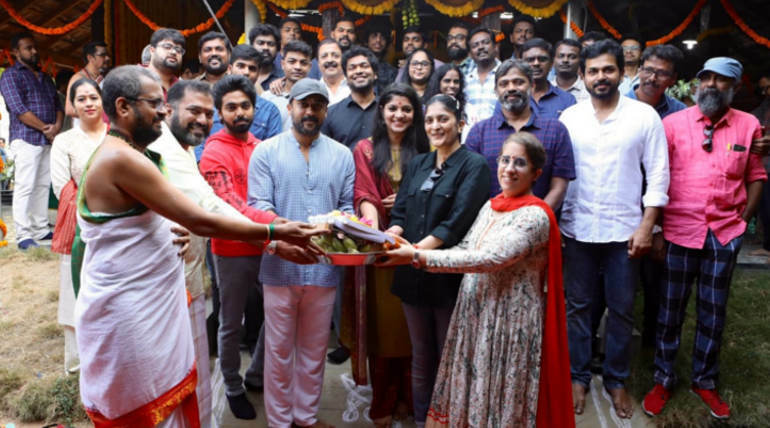 Suriya 38 movie shoot is officially going on floors on Monday, April 8, 2019, and the young team along with the star actor Suriya are starting with a full force under Suriya's 2D Entertainment. After a long time, Suriya is working in a film without A-grade cast and crew and working with a young team for good content as per the sources from the team. 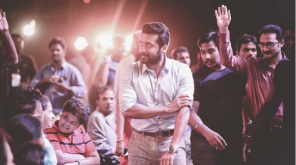 The movie is speculated to be based on the Air Deccan founder Captain Gopinath and the film focus on the Captain and happenings around him while Suriya is said to be playing the role of the captain. Music Director GV Prakash in his recent interview has confirmed that the film will have a complete flight background and will be a first of its kind in Indian cinema. This moreover makes the speculations true about the Air Deccan news. GV Prakash Kumar is composing music for the film and Niketh Bommireddy is handling the cinematography for Suriya 38. Meanwhile, Editor Sathish Suriya and Jacki are handling the editing and Production design department respectively. 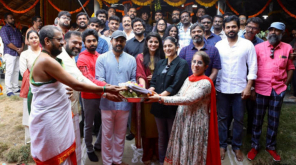 Young actress Aparna Murali is pairing up with the star and it is all of a surprise to know the exciting cast and crew of the film. The untitled film is co-produced by Guneet Monga, who won the Oscar award for her production film 'Period. End of Sentence' this year. 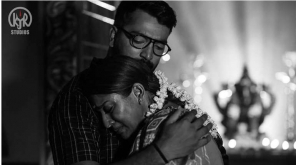 GVP has recently tweeted that the famous Thaikudam Bridge Band is performing a rock number in the film and the recent sensational composer Govind Vasantha is crooning for it. The film will be shot at a rapid pace and expected to hit screens by early 2020.